I was in the market for a new dive watch to replace my IWC Aquatimer 2000 (IW356809) which I had for about 3 years but I found somewhat uncomfortable (a combination of case diameter and lug shape on my wrist) so I sold it. I am the rare bird among dive watch wearers who actually uses their dive watch when scuba diving as a back-up timer to my dive computer. Being attracted to beautifully finished pieces of horology, I started my search for a replacement by looking at high-end divers like Audemars Piguet Offshore Diver, Blancpain Fifty Fathoms and the JLC Master Compressor Diver Navy SEALs as a replacement. All are stunningly beautiful watches, but I began to think about the actual use environment that they will be subjected to when scuba diving. There is much focus about the underwater environment, but honestly water resistance is a well-honed technology that most watches have adequately mastered. The real hazards to wristwatches are on the boat pre and post dive. Tightly spaced tank racks and ladders on a rolling deck are constant "ding" environments when changing tanks or exiting the water. I just can't see submitting any of these fine pieces to this type of abuse. Additionally, some of the design features on some of these watches are better suited to desk diving. For example, the internal bezel control location and function on the AP makes it quite difficult to use ergonomically and to prevent it from from flooding when used (I set my bezel once in the water, just prior to submerging after an equipment check). I also considered a Rolex Submariner (114060 or 116610) but its similarity to my Yacht-Master and the softness of the 904L steel caused me pause. This brought me back to considering more durable "tool watch" divers offered by Ball, Bremont, Doxa, Sinn and UTS. After reviewing these options based on design features, aesthetic preferences I chose the Sinn U1-T (ref. 1010.030) due to its surface hardened case and clear, functional aesthetics. Not, haute horologerie by any means, but a handsome, sturdy piece suitable for his intended use. I had also owned a "tegimented" chronograph by Sinn a few years back (756 Diapal) and I had found it to be quite robust in terms of its wear characteristics (did not like the pusher feel, lack of running seconds and lume). When I saw that a fully hardened version of the U1 was again available, I took the plunge. 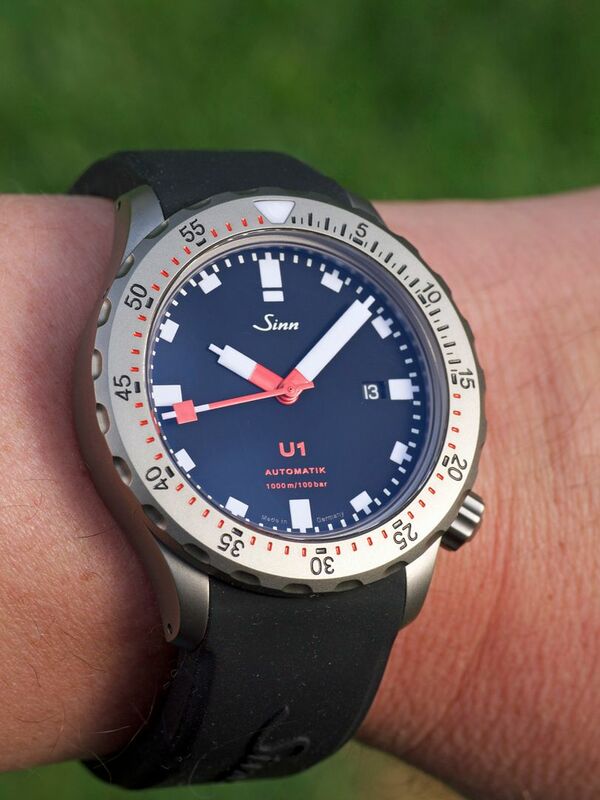 This dive model (U1) was introduced by Sinn back in 2005 and has a "submarine steel" (I will explain later) case and a "tegemented" (a surface hardening treatment) bezel. 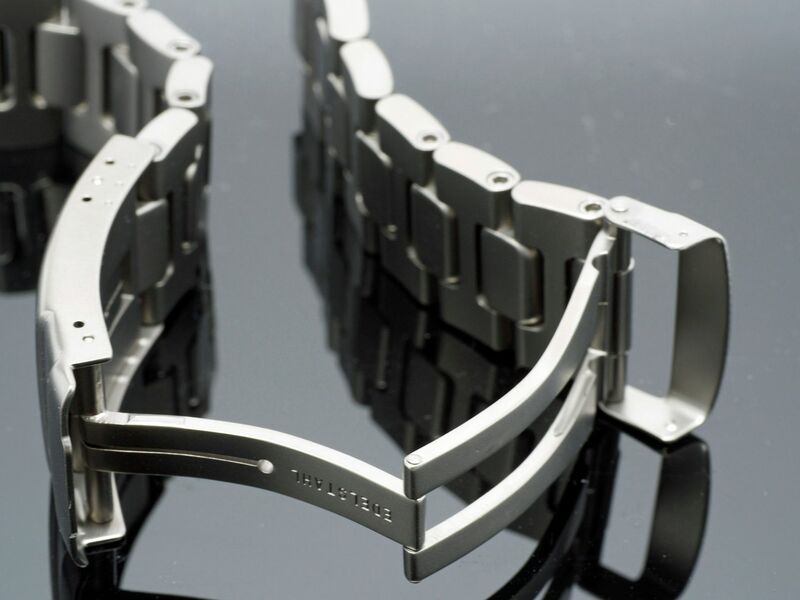 Over the last two to three years, small runs of fully "tegimented" versions were the case, bezel and bracelet/strap clasp are surface hardened had been ordered by the US importer/retailer Watchbuys.. The key technologies used on this model relates to the corrosion resistance of the alloys used and the scratch resistance of the surface hardening treatment. Both of these are perfect for scuba diving. 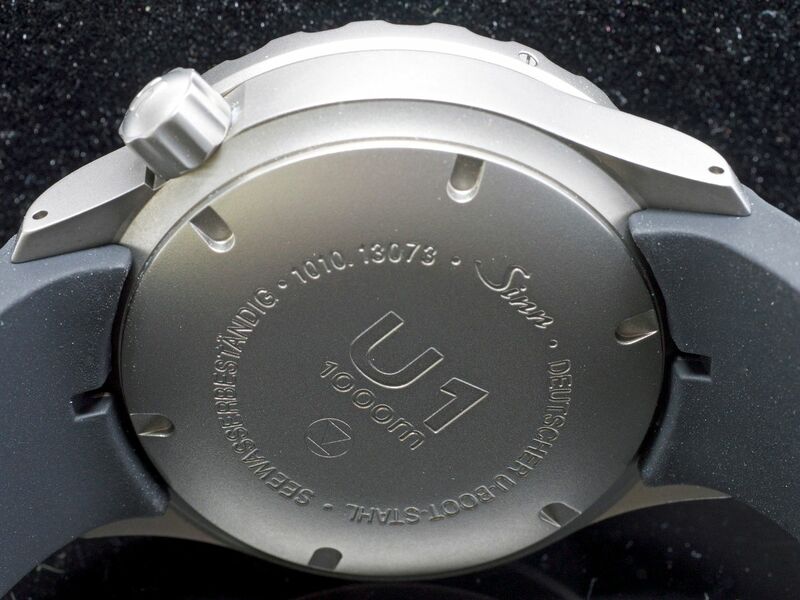 The U1-T is large watch at 44.0 mm but is relatively thin at 14.3 mm for a 1000 meter water resistance diver. I purchased both the hardened stainless steel bracelet (225g assembled) and a silicone strap with a hardened folding clasp (180g assembled). 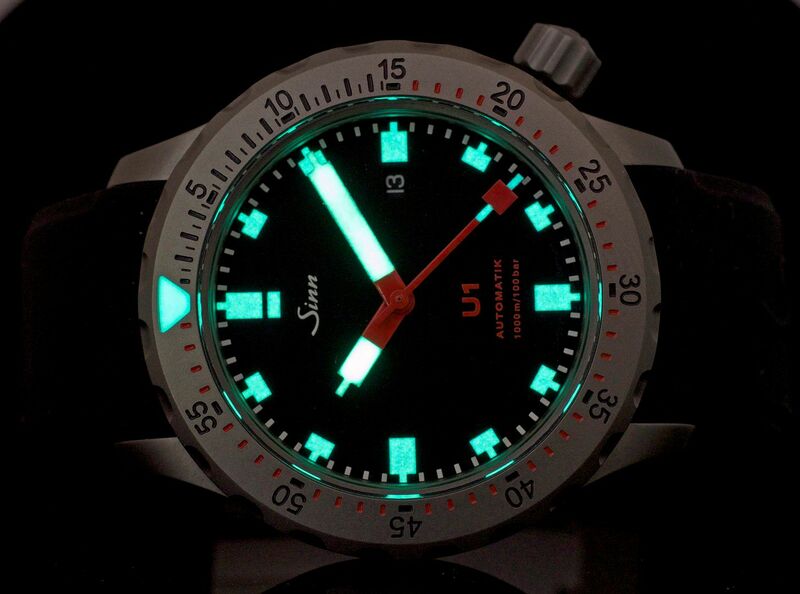 It is probably Sinn's most popular diver and in my opinion their most distinct design. Being an engineer, I always like to demystify watch company marketing mumbo jumbo. 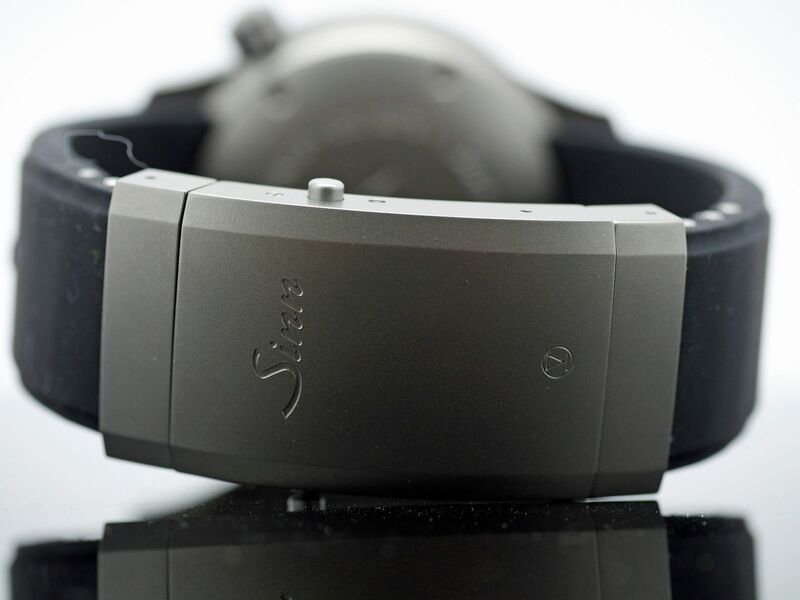 Sinn watches are usually about application of technology to achieve a functional goal. The U1 is all about the surface hardness and corrosion resistance of its materials of construction. 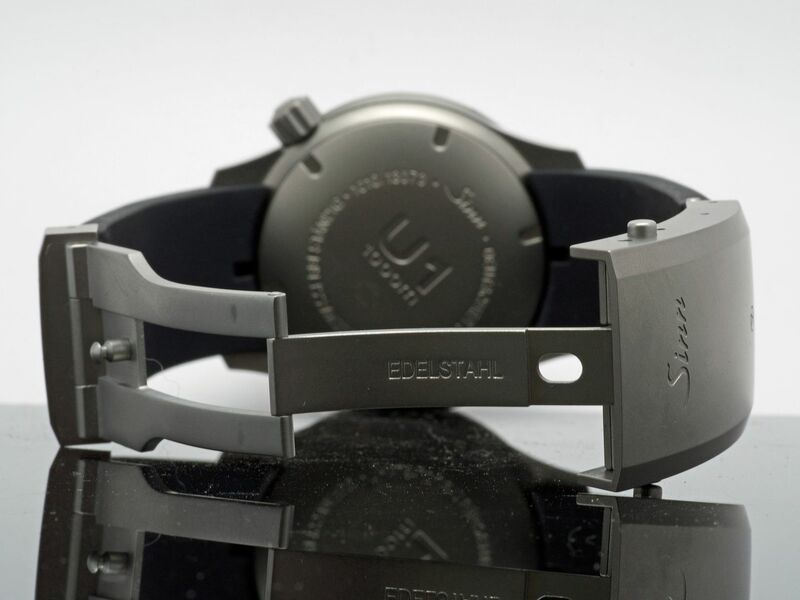 The watch case and bezel, like the standard U1 is made from a Nitronic 50 austenitic stainless steel (also known as VDE Werkstoffnummer 1.3964). This alloy is antimagnetic, has a higher corrosion resistance and about twice the yield strength of 316L commonly used in watch case manufacture. It is used extensively in the chemical processing industry where corrosion resistance is paramount and it is also in submarine hull manufacture (Sinn calls it "Submarine Steel" which sounds better in a dive watch). The case and bezel are surface hardened to 1,500 Vickers to a depth of about 30 microns (only about 0.001") by a proprietary diffusion process that forms very hard chromium precipitates known as Kolsterizing by a company named Bodycote (http://internet.bodycote.org/kolsterising/en/index.html). Sinn refers to this process as "Tegimented" but it is not proprietary to them and it creates a skin that is about 7x harder than 316L typically used in watch case manufacture. The process does however alter the hue/color of the steel and can be a bit inconsistent and blotchy; so this is why I suspect Sinn bead blasts their tegimented cases to hide this inconsistency. The bracelet and clasp on the rubber straps are made from Kolsterized 316L stainless so the color is slightly different than the Nitronic 50 stainless and is slightly less hard at 1,200 Vickers which is still about 6x harder than the starting alloy. The dial is jet black in color, with bright white C1 Luminova chapter ring with distinct "Lego" and 5 minute markers. The date window is small and lines up with the 3 o'clock indicator in the chapter ring. The red text is minimal which a nice change from other dive watches who insist on extensive decorative prose. The dial appears extra black due to the two-sided anti-reflective coated sapphire crystal. The anti-reflective coating on the outside of the crystal is indeed hard (about 1800 Vickers) but it is really just rare Earth mineral salts which is less hard than sapphire and harder than mineral glass. I suspect that it will eventually scratch. Sinn is using a deformation scale used to measure metals to measure a mineral (instead of say a MOHs scale) which makes something that is typical sound special. The three hands are also bright white C1 Luminova and have a distinct "Lego" shaped tips. The hands are also decorated in a chromatic red towards the hub which will turn gray > 15' under the water due to wavelength filtering. The dial is surrounded by a unidirectional captive safety bezel which requires a diver to press inward on the opposite sides of the bezel in order to rotate it around its 60 positions. The bezel has count-down time markers milled into it that are decorated in black and red. Again, due to underwater color filtering critical information was decorated in black and non-critical in red (which will look gray >15"/5 meters). A luminescent plastic marker is inset into the bezel for low-light viewing. The lume is descent, which is probably a tribute to a heavy, consistent application vs. the material, but no match for a well coated C3 or C7 Luminova decorated watch. The crown being located at 4 o'clock is a nice feature because my wrist is constantly bent when taking underwater photos and not having a crown digging into one's wrist is welcome. Sinn like many smaller watch manufacturers is finding their ETA allocations of movements being restricted so they are now sourcing movements from Sellita. This watch contains a "Top Grade" Sellita SW 200-1 which is almost identical to an ETA 2824-2. A 25.6 mm D x 4.6 mm H movement (small for a 44 mm case), 26 jewels, 28,800 bph, Nivaflex barrel spring, Incabloc shock absorption, Glucydur balance wheel, regulated in 5-positions and only a 38 hour power reserve. It is a reliable workhorse. Many collectors are upset by this, which I find curious. Sellita has been making customized versions (machining custom parts, decorating and assembling) of ETA calibres for watch companies for decades. Given this knowledge and the recency of their manufacture investment; I believe it to be the equal of anything produced by the Hayek's. Sellita currently has three factories (two in Switzerland; in La Chaux-de-Fonds and one in Germany in Glashutte) and its output capability has significantly increased over the last 5-years. I will be curious to see how they survive the Hayek's continual clamp down on Nivarox-FAR assortments over the next decade. This will be the limiting production output for Sellita factor moving forward (I believe it already is in 2013). 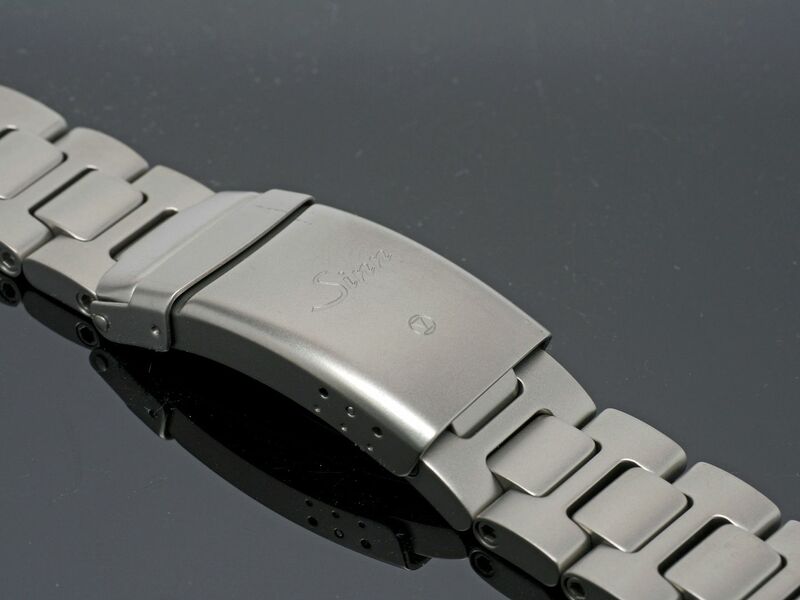 The bracelet is of fairly nice quality (particularly at this price point) with bead blasted finish, machined, and screwed links and a fold over latch to secure it, single folding clasp with a 3-position (manually adjustable with disassembly, nothing as sophisticated as Rolex, GO or IWC) micro-adjustment. The silicone rubber strap needs to be cut to length and utilizes thea different clasp hardware from the bracelet. It has a push button to open it. Until I have wear experience, I won't know for sure; but I suspect the strap vs. the bracelet will have a very different wrist feel and balance due to the significant difference in weight (45 g). I will likely swap them out seasonally; wearing the strap in the summer and the Bracelet during the winter. I will be curious to see how the back of the clasp resists typical desk diver abrasion. I suspect that it won't (TBD). 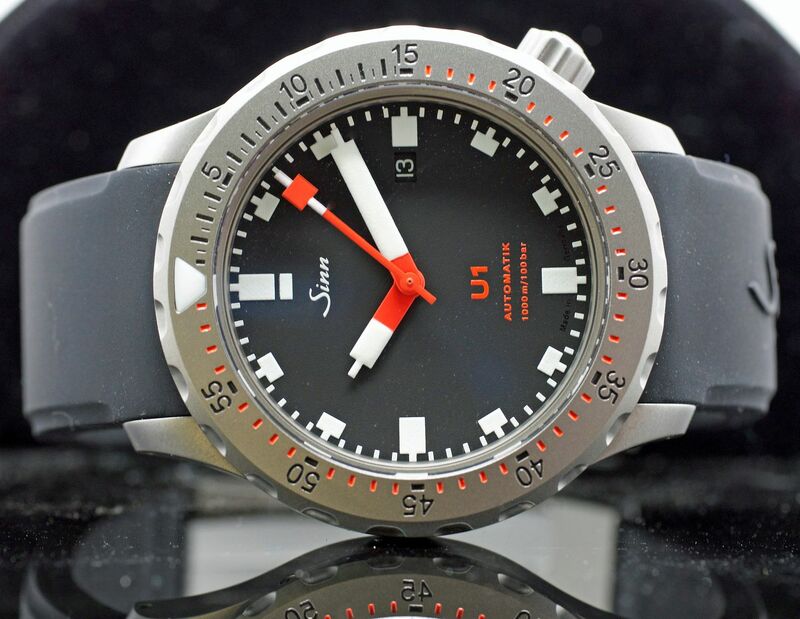 The Sinn U-T is a simple, more rugged variant of a very well-regarded tool watch. The design of the U1 is a classic Bauhaus style watch in a hardened, corrosion resistant embodiment. I will be curious to how it holds up when donning my gear and exiting the water when diving (next November) and as a general sport watch in my rotation.